Is using psychoactive drugs to treat obesity a good idea? Would you be willing to lose about 5% of your body weight, but at same time increase your risk of experiencing nervous or psychiatric disorders? 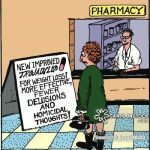 It’s a choice you may have to make if you decide to take some weight loss drugs. To better understand this we conducted a systematic review where we evaluated the benefits and harms of anti-obesity medicines that act through higher centres (the brain) (1). We included pivotal trials (these were the trials that drug manufacturers used to gain approval to market the medicines) that compared the medicines with dummies. In total, we included five different medicines – there were 16 trials with a total of 24,555 participants. Two of the medicines (Meridia® also called Reductil®; and Acomplia® also called Zimulti®) have been withdrawn from the market because of concerns over cardiac and psychiatric harmful effects, leaving three (Belviq®; Mysimba® also called Contrave®; and Qsymia®) still available. 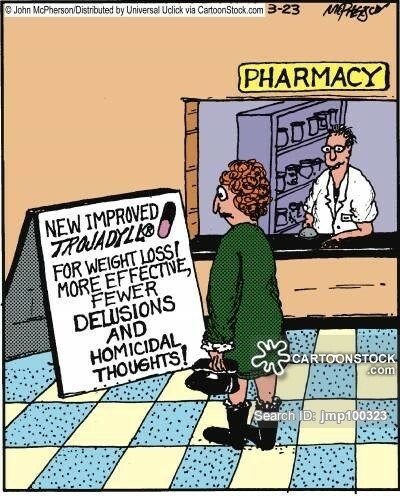 Although the centrally-acting medicines resulted in modest weight losses, their use also markedly increased the risk of experiencing adverse events including headache, dizziness, anxiety, and insomnia; in fact, significantly more participants taking the centrally-acting medicines withdrew from the trials because of these events. Of note, the amounts of weight losses generated and the incidence of adverse events between the two withdrawn products and the three presently on the market were similar. So, do you still think it’s a good idea to use these medicines to treat obesity? My co-authors and I think there’s a problems with the study designs and outcomes reporting; and there is an urgent need to improve monitoring of harms once drugs are on the market before anyone can make an informed decision. Onakpoya IJ, Collins DRJ, Bobrovitz NJH, Aronson JK, Heneghan CJ. Benefits and Harms in Pivotal Trials of Oral Centrally Acting Antiobesity Medicines: A Systematic Review and Meta-Analysis Obesity (Silver Spring). 2018 Mar;26(3):513-521.